Champagne Armand de Brignac Blanc de Noirs Assemblage Two (A2), is crafted with exceptional fruit sourced from some of the best Pinot Noir producing villages of Champagne, including Bouzy, Verzenay, Chigny-les-Roses, Ludes and Rilly-la-Montagne. The full production of 2,333 bottles was disgorged on June 20, 2016. 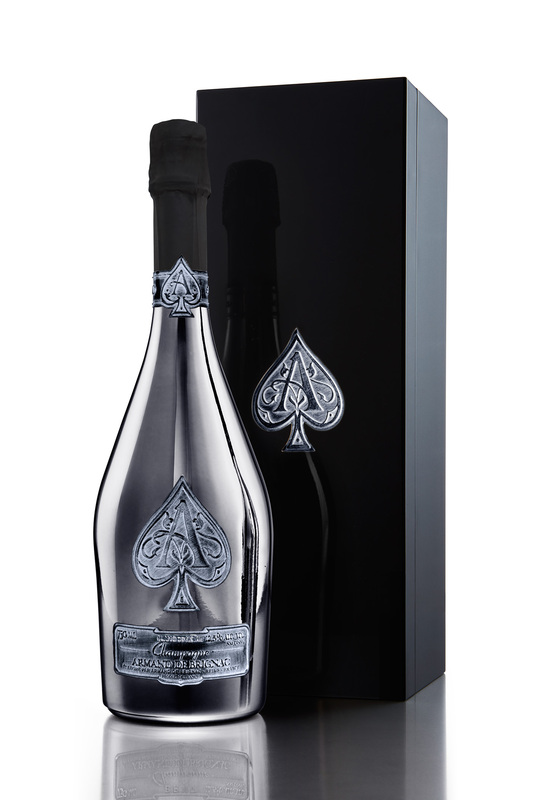 Each bottle of Armand de Brignac Blanc de Noirs A2 is inscribed with its unique number (1 to 2,333). Lively grape, honeysuckle and notes of peppermint abound on the nose which also reveals subtle hints of peach and apricot. Intense minerality with fruit, mint and a hint of cinnamon. Excellent cellaring potential for this champagne which could further evolve and develop for another 15 years or more. Pairs beautifully with roasted duck, pan seared trout and lightly grilled lamb.